With locations at La Gran Plaza mall and on Berry Street (across from the original Fuzzy’s Taco Shop, for which they get major props), a roving truck and a new restaurant (AKA Salsa Limón Museo), across from the Modern Art Museum, Salsa Limón has built itself a mini empire in Fort Worth. Dallas is next. 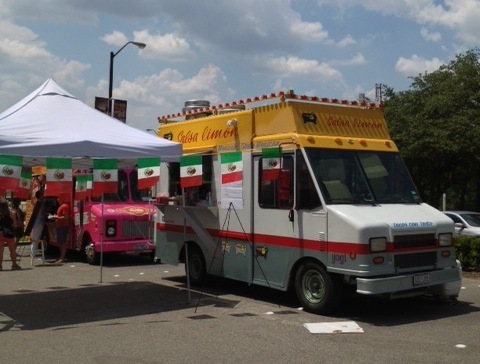 During a Salsa Limón stop in the Harwood District for last Saturday, Ramiro Ramirez, co-owner along with sister, Rosalia, confirmed to Taco Trail that Salsa Limón will have a presence at Jason Boso’s Truck Yard on Lower Greenville, a something Teresa Gubbins vaguely mentioned in a Culture Map story. “We’ll be there as often as possible,” he said of the food truck park whose concept includes rotating vendors. Ramirez also mentioned a desire to have a rig station at Southern Methodist University, his alma mater.